We first met on a brisk September day in 2009 on American soil… Brought together by chance and circumstance (we were both lost, looking for a picnic on a very large military base), a natural friendship was born through our shared love of teaching, orphans and blogging. I am the newer teacher of this dynamic duo. This is my sixth year teaching, and even though I had my heart set on the fourth grade, I completely fell in love with second grade, then I fell in love with kindergarten, and now I am head over heels for first grade. I come from a family of nine; four boys and five girls. My parents really love each other^^ (and there is the Asian smiley face, see? I am basically Asian now), and my big family is my absolute favorite thing to talk about. Besides teaching I love going to church (yay, Jesus! ), taking pictures (I am a photographer too, no big deal), writing (hence my love of blogging), traveling (I feel the need to include parenthesis even when I don’t need them), and spending quality time with good people. I am so excited you are here, at this blog, read on…! I am the not so newbie teacher. This is my eleventh year as a classroom teacher, and I can’t help but loving the profession more and more as time goes on. When I graduated Barnard College, a long time ago, I was eager and excited about having my own cozy elementary classroom in Manhattan. However, the reality was that there were not as many openings for the elementary classroom and I found myself in a dual language (Spanish & English) middle school teaching math. I didn’t mind teaching math, but little did I know what I was getting myself into. Despite dealing with huge class sizes, standardized testing and all the craziness of teaching in the public school system in NYC, I started to enjoy teaching middle school. I liked it enough to pursue a master’s degree in middle school education. After 5 years of teaching in NYC, I was ready for a change. 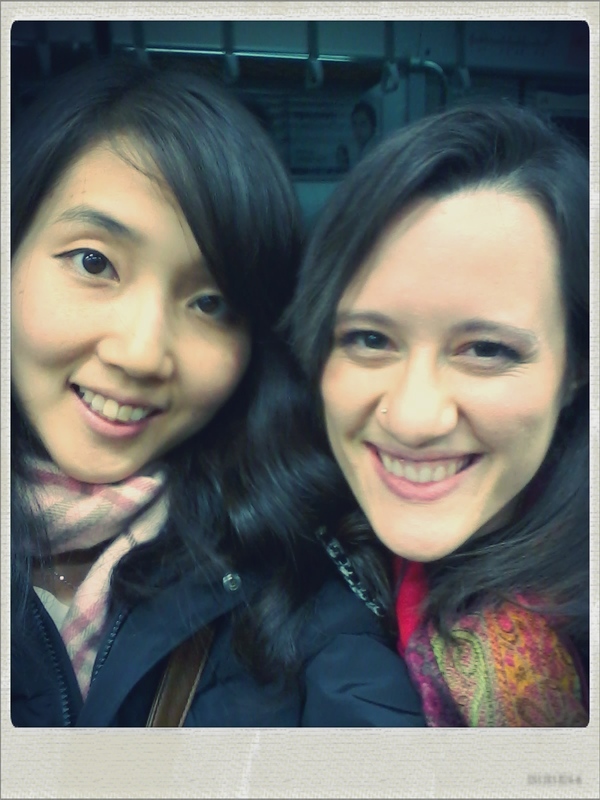 I decided to give the international teaching thing a shot, and moved to Seoul, Korea. I taught fifth grade and absolutely love it. It was a whole new set of challenges, teaching abroad and being in the elementary classroom. I’ve fallen in love with teaching reading and writing workshop, unpredictable fifth graders, and seeing the world outside NY. Now, I’m teaching at an international school in Singapore! We hope to share with you a glimpse of our lives here. Many thanks for stopping by our blog. Remember, two apples a day, will keep your students happy! That was fun! (reading your blog). (!) I enjoyed your enthusiasm for teaching and the humor. I’m glad you are enjoying your graduate program. Thanks for the kind words about it. Love your blog! My students would love to learn more about S Korea. Melody Joy, I tweeted you a link to the Globalclassroom wiki – there are lots of opportunities to connect with classrooms around the world! I was also very encourged by your blog. I read some good cooking ideas for teaching. Do you have any ideas for teaching a 7th grade boy in Math? I’ve been teaching ESL so long that I forgot what they study now. Jee Young! I didn’t know you had this blog! I also love teaching reading and writing, and I taught Jackie and her friends English through having read alouds and creative activities. Now I teach reading and writing to univ. students, but I prefer teaching younger students^^ I enjoyed reading your blog and learned a lot! Thanks! Your students are so lucky to have you as their teacher! Hi, i think i am going to be an avid reader of your blog. i’ve passed the national exam to be an elementary school teacher in Korea and waiting for starting work. i’m very happy to see those ardent teachers here. Thank you so much Minji!